I'm in sunny New Zealand right now and very much looking forward to this coming Friday where I'll be doin' it up alongside Recloose and Heel & Face (feat. my brother John Ussher), rockin’ the place with the best in House, Funk, Disco Breaks and Hip Hop! 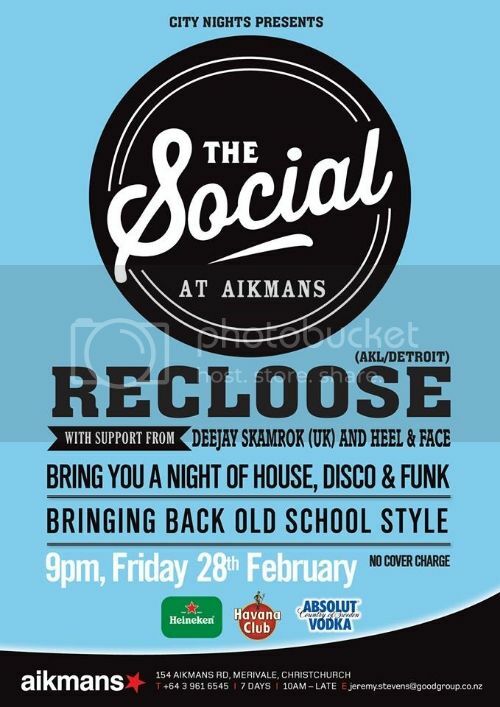 The place to be is The Social @ Aikmans on Friday Feb 28th, hope to see you there!